Product information "Hunting Cuckoo Clock standing stag"
Typical Black Forrest clock Hunting piece with a standing stag at the top. 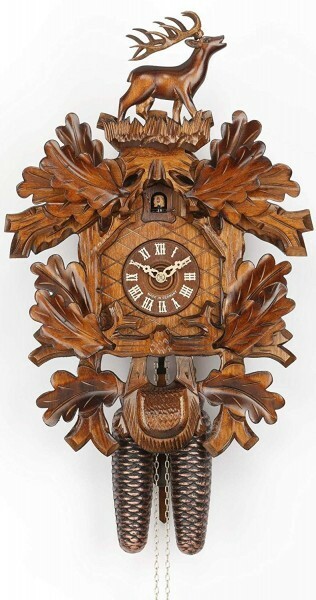 The Clock is a typical Black Forrest clock Hunting piece with a standing stag at the top. Related links to "Hunting Cuckoo Clock standing stag"
Customer evaluation for "Hunting Cuckoo Clock standing stag"